Quality control doesn’t seem like a huge issue for most pizza orders. As long as the cheese is melted and one of those giant weird pizza bubbles hasn’t taken over half of the pie, it’s probably going to be good enough to pair with beer – which is all you need. But for pizza chains who want to make sure every single pie comes out absolutely perfect, Dragontail Systems has the solution: The Israeli tech company says they’ve developed a way to photograph and analyze pizzas to make sure they meet the highest standards. Beyond the basics like looking to see if anyone forgot the green peppers or added pepperoni to a veggie pie, Dragontail’s system can reportedly handle far more advanced tasks. “The camera takes a picture automatically when the pizza comes out of the oven and it analyses the pizza using a mathematical model," company CEO Ido Levanon told The Sydney Morning Herald. “First the quality of the dough, quality of the cheese and then it compares it to the colour and texture of what it is supposed to look like. 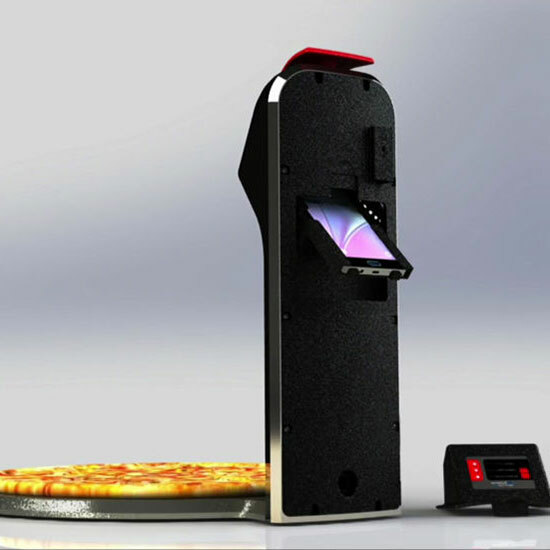 If it doesn't look like it's supposed to then it alerts staff right there on the spot.” The pizza cam can even send customers a photo of their pizza via text or email. Though until there’s some sort of Tinder-like swiping feature where you can accept or reject your pizza, that seems mostly like a parlor trick. Related: CAN YOU RECYCLE PIZZA BOXES OR NOT? According to the Morning Herald, Dragontail Systems, which has an office in Australia, already has one Sydney pizza shop on board with their system, though the company also works with larger chains like Pizza Hut in North America on some of its other projects, so it would seem that Dragontail has bigger plans for its pizza camera. So you might want to warn your pizza to be on their best behavior moving forward; pretty soon Pizza Big Brother could be watching.